Pop Star Pink to be honoured at London's BRIT Awards - SABC News - Breaking news, special reports, world, business, sport coverage of all South African current events. Africa's news leader. Pink, who has sold more than 40 million albums worldwide, will also close the show at the February 20 event. 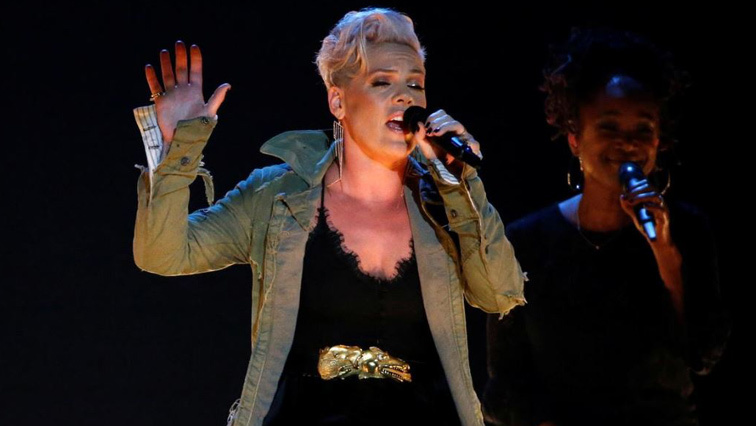 Pop Star Pink will receive the Outstanding Contribution to Music Award at this year’s BRITs, organisers of Britain’s pop music honours said on Thursday,naming the American singer-songwriter as the first international artist to receive the prize. The Grammy Award winner, known for chart-topping hits such as “Raise Your Glass, “Just Like a Pill” and “What About Us”since releasing her debut album in 2000, joins the likes of David Bowie, Elton John, Queen and the Spice Girls in receiving the award. Pink, who has sold more than 40 million albums worldwide,will also close the show at the February 20 event, which will be held in London. This entry was posted on 07 Feb 2019,11:31AM at 11:31 AM and is filed under Lifestyle, Homepage Featured Story Slider. You can follow any responses to this entry through the RSS 2.0 feed. Both comments and pings are currently closed.